Hello from Susan Page Davis! 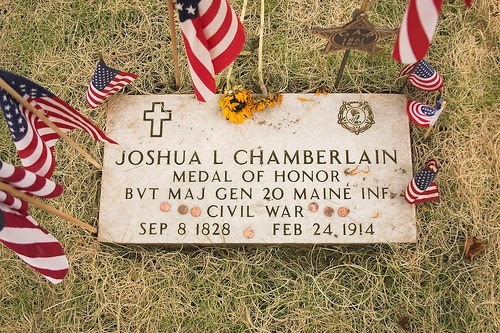 Most Americans have heard of Joshua Lawrence Chamberlain. 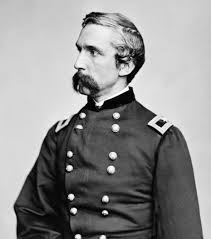 He was a Civil War general on the Union side, best known for his gallantry at Gettysburg. But Chamberlain had many other skills and virtues. • Was a college professor? He took a sabbatical from his teaching post at Bowdoin College in Brunswick, Maine, to serve in the war with no prior military experience. • Started his teaching career as a professor of rhetoric and was later named a professor of modern languages? He was fluent in nine languages other than English: Greek, Latin, Spanish, German, French, Italian, Arabic, Hebrew, and Syriac. He at some point taught every course in the curriculum at the college except science and mathematics. during the Battle of Gettysburg? He later received the Medal of Honor for his actions there. Having volunteered in 1862 and begun as a lieutenant, Chamberlain had been promoted to colonel of the 20th Maine regiment by this time. • Was wounded six times during the war, including a critical wound at Petersburg? • Was erroneously declared dead in Maine newspapers after the Battle of Petersburg? He was promoted to brigadier general by Ulysses S. Grant, who thought Chamberlain was dying, but he convalesced and went on to lead his men in to the end of the war. • Served in 20 battles and numerous skirmishes and had six horses shot from under him? • Was perhaps saved by his wife’s picture, when a bullet hit the frame in his breast pocket? The bullet fired in the skirmish at Quaker Road in 1865 traveled under his skin and along his ribs. His men thought he had been shot in the chest and were amazed when he kept encouraging them to attack. They won the skirmish. • Had the honor of commanding the Union troops at the surrender ceremony for the Confederate army at Appomattox Court House, Virginia? His order to his men to “carry arms” as a show of respect for the surrendering southerners drew criticism from some Union sympathizers. • Served four terms as governor of Maine after the war? He twice broke the record for highest percentage of votes for governor at that time. • Faced down a crowd of men threatening to kill him? In 1880, the former governor was called in to help settle a post-election dispute. A band of armed men had taken over and occupied the Maine State House. Chamberlain was able to talk them into laying down their guns and going home. • Is thought to be the last Civil War soldier to die of his wounds from that war. In 1914, at the age of 85, Chamberlain finally succumbed to the lingering effects of his wounds. 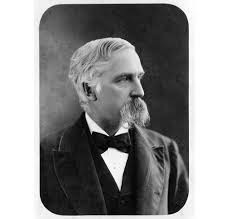 I could tell you lots more about Joshua Lawrence Chamberlain, the quiet professor who became one of America’s greatest heroes. We’ll leave it there today. Which of these points surprised you most? Leave a comment and enter the drawing for one of my Maine books: Maine Brides, Hearts in the Crosshairs, or Mainely Mysteries. I am from Maine! 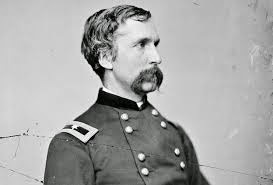 I have visited Joshua Chamberlain's home in Brunswick and went to his grave site. Truly a Maine gentleman and hero. I did not know that he it thought to be the last to die from his wounds. That surprised me too, Donna. There's always more to learn. Hi, Jenny! Love that movie. This poor man suffered for the rest of his life, but he kept on doing wonderful things. That is what amazes me most. I would LOVE to read this book. Maine is my adopted home state and I confess I don't know a lot about it. Thanks for the chance to win the book! 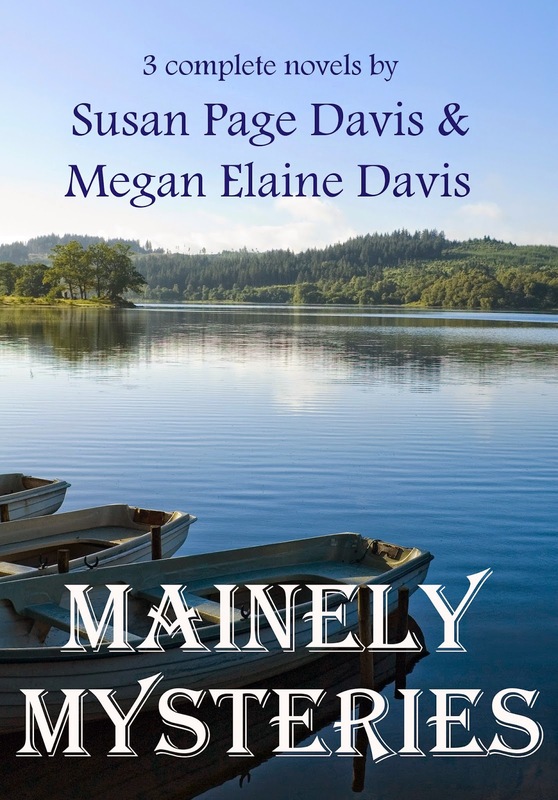 You're entered, Connie, and you can choose your book set in Maine if you win. What an inspiring and incredible man! I love that he taught so many different courses. Yes, if I were the dean, he is certainly the man I'd want on the faculty. What an amazing man. There is something about a Union Soldier who still shows respect to the Confederate Soldier that warms my heart. There was so many more issues than just slavery in that war. Absolutely, Debbie. I tear up every time I read about Appomattox. What fascinating history you've shared about this hero! So much I did not know. Thank you, Susan. You're welcome, Britney! Thanks for participating. Thanks, Emily. If you want to be entered in the book drawing, please leave your contact info. Glad to see you here. Thanks, Eliza. I always learn new things when I'm researching for this blog! He was a good-looking man. Too bad he had that scruffy mustache--LOL. I guess that was the fad back then. Ha, ha! Well, he could have done the beard too. My hubby has both. He hasn't shaved in 36 years. I read your post out loud to my 4 homeschooled children. We all found this post very interesting, especially the part about having a horse shot out from under him 6 times. Wasn't that something? The poor horses! In fact, the shot that hit Chamberlain at Quaker Road had actually passed through his horse's neck first. I imagine that slowed the bullet down some. I didn't mention it because it seemed so icky to think about. I'm sure most people don't like to hear about animals getting hurt. What surprised me the most is that he was fluent in so many languages. He was a very intelligent man. I would love to win a book. Reading takes you to a whole other world. Thank you for the opportunity. Isn't it amazing how some people's brains are wired for that? I would love to sit down and talk to him! Oui! Si! Ja! Okay, I'm mostly faking it. Thank you for a great post, Susan! I always look forward to info you have to share with us. Chamberlain is one of my great heroes--thanks for writing about him! You're welcome, Laurie. I enjoyed doing it. What an incredibly talented man. He must be have been very bright. I can't imagine speaking ten languages. The story of the picture frame that might have saved his life is fascinating. I agree, Keli. Great to see you over here. I know you're busy promoting your Cup of Christmas Cheer books! And the winner is Donna Robinson. Congratulations, Donna! I'll email you personally.